KENEDNA (f by Not a Single Doubt) 8 wins-1 at 2-from 1200m to 2000m, A$1,455,895, to 2018-19, ATC Queen of the Turf S., Gr.1, VRC Matriarch S., Gr.2, BRC The Roses, Gr.2, VRC Vanity S., Gr.3, SAJC Auraria S., Gr.3, Laelia S., L, 2d SAJC Schweppes Oaks, Gr.1, MRC Ladies Day Vase, Gr.3, 3d VRC AV Kewney S., Gr.2, MVRC Sunline S., Gr.2, MRC Ladbrokes.com.au 2YO Fillies H., Clanbrooke Racing H., 4th BRC Queensland Oaks, Gr.1, MVRC WH Stocks S., Gr.2. SPILL THE BEANS (c by Snitzel) 5 wins. See below. 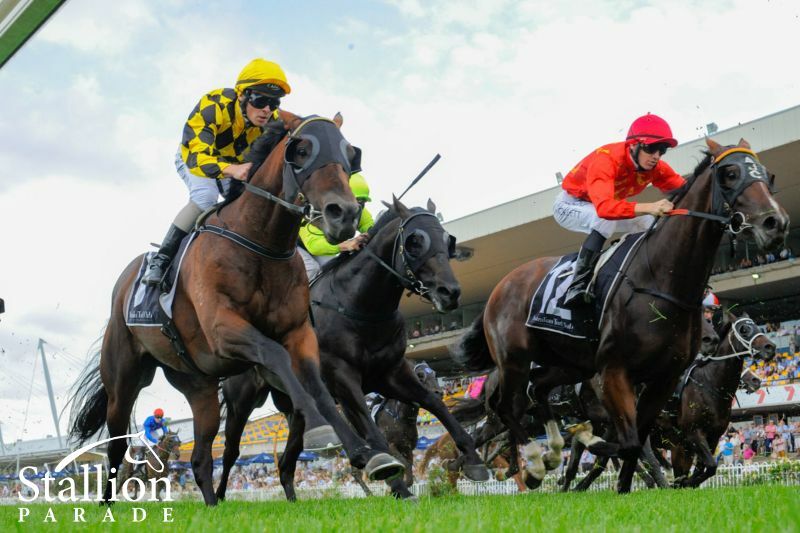 Standoubt (g by Not a Single Doubt) 5 wins from 1500m to 2200m, A$125,075, 2d ATC Sportingbet Juvenile Stayer H., 3d ATC TAB Early Quaddie 2YO H., 4th ATC Fernhill H., L.
Kevikki (f by Smart Missile) 2 wins at 1400m, 1450m in 2018-19, 2d MRC Le Pine Funerals H.
Full of Beans (f by Smart Missile) Winner at 1000m in 2017-18 in Aust. YAMMER (g Bellotto) 12 wins from 1100m to 2400m, A$536,353, SAJC Rain Lover P., Gr.3, VRC Auckland Racing Club H., L, SCTC Anniversary Cup, L, Bendigo Cup, L, MRC Ben Chaffey H., VATC Jayco Caravan H., Oakleigh AFC & Rent a Car H., 2d VRC Paris Lane S., L, Cranbourne Cup, L, VATC Spring Country Cup, Primacy H., MVRC Crown's World of Entertainment H., 3d VRC Saab H., Gr.2, MVRC Carlton Draught Welter H., VRC Young Members H., VATC Blue Ribbon Foundation P., 4th VATC Sandown Classic, Gr.2. SPEAK FONDLY (f Northern Meteor) 4 wins-1 at 2-at 1200m, 1600m, A$872,200, ATC Flight S., Gr.1, Magic Night S., Gr.2, Silver Shadow S., Gr.2, NSW Tatt's RC Furious S., Gr.2, 2d ATC Golden Rose S., Gr.1, Sweet Embrace S., Gr.2, 3d ATC Gimcrack S., L.
WILD AND PROUD (g Snowland) 3 wins at 1350m, 1400m, A$304,716, ATC Hobartville S., Gr.2, McGrath H., Mercure Kooindah Waters Golf & Spa Resort H., 3d ATC Phar Lap S., Gr.2, Bill Ritchie H., Gr.3, AJC Breeders' P., L, ATC Canonbury S., L, McGrath Mitsubishi Mile H., Membership on Sale H., Styletread.com.au P.
Dal Dal. Winner at 2, STC Rosehill Gardens Event Centre H., 3d STC Theraces.com.au 2YO H., AJC Moore Park H., ATC One Club, One Membership H. Producer. Chariot of Storm. 4 wins at 1000m, 1200m, HK$3,110,900, HKJC Austin H., Audemars Piguet Carillon H., Hainan H., Orchid H., 2d HKJC Chaoyang H., Volunteers' Challenge Cup H., Daffodil H., 3d HKJC Kwai Fong H.
Bound by Silence. 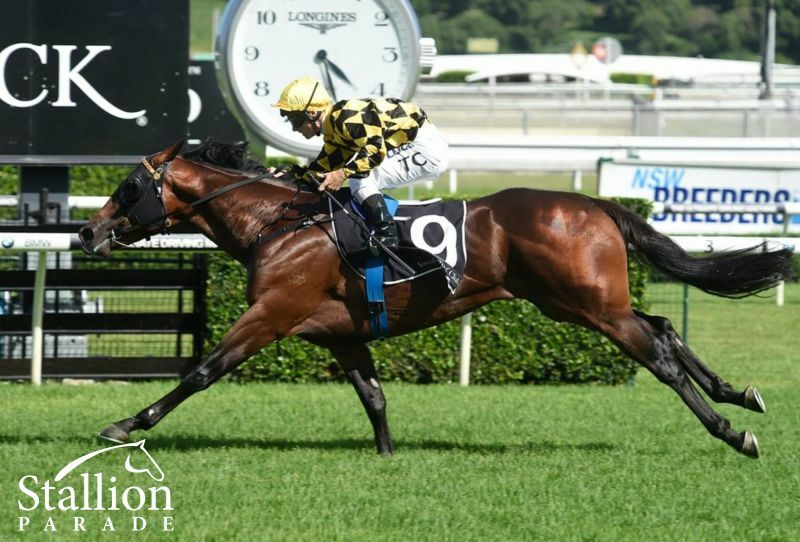 4 wins from 1200m to 1900m, STC Dundas H., Payroll Specialists H., 2d STC Punchbowl H., 3d AJC Alexander MacKellar H., STC Lapstone H.
IN A BOUND (f Ashkalani) 5 wins to 1550m, A$278,280, STC Queen of the Turf S., Gr.2, Aspiration Mares Quality H., AJC Sydney City Toyota H., STC Red Ransom at Vinery Stud H., 2d STC Millie Fox S., L, 3d AJC Emancipation S., Gr.2, Bill Ritchie H., Gr.3, 4th AJC Emancipation S., Gr.2, MRC Tristarc S., Gr.3, STC Research S., Gr.3, GCTC Silk Stocking H., L. Producer. 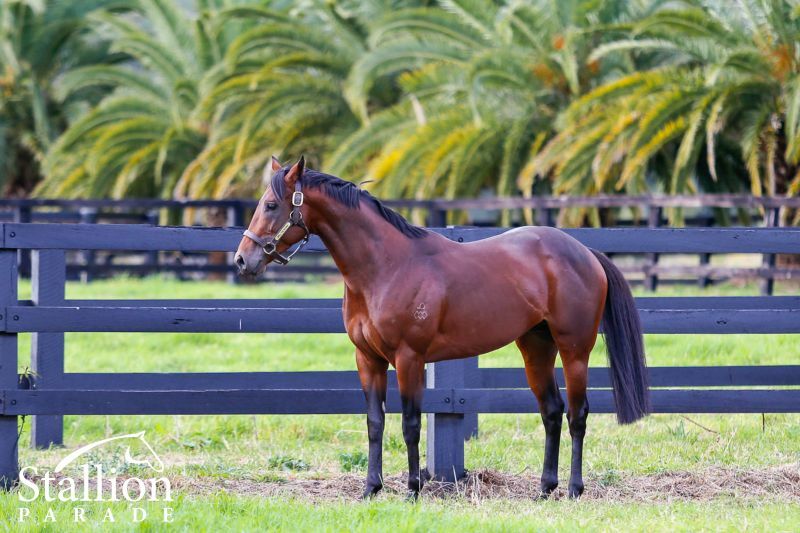 GLASTONBURY (g Sir Tristram) 6 wins from 2000m to 3000m, A$478,640, AJC Metropolitan H., Gr.1, Moonee Valley Gold Cup, Gr.2, MVRC Essendon Plant Farm H., North Hill H., VATC Vo Rogue H., SAJC Angas Brut Champagne H., 2d AJC Colin Stephen H., Gr.3, VATC M O'Shannassy H., 3d SAJC Chairman's S.H., L, VRC Better Loosen Up H., SAJC Tap & Dance H., 4th AJC Metropolitan H., Gr.1. True Champion (g Luskin Star) 5 wins-1 at 2-from 1200m to 2100m, A$99,275, SAJC Keke Rosberg H., 2d SAJC Port Adelaide Guineas, Gr.3, QTC Easter Cup, L, SAJC Hill-Smith S., L, WATC Melvista S., L, 3d QTC Eagle Farm S., L.
Newcastle Waters (c Crested Wave) 4 wins-1 at 2-from 1200m to 2200m, AJC Greek Campaign H., WATC Swell Baby Quality H., 2d WATC Dayana S., L, 3d Albany Cup, L.
Race Record: 11 Starts 5-2-1 A$560,700. Ending his career on a high with a brilliant victory over older sprinters in the Group II QTC Cup at Eagle Farm, Spill the Beans was fast, precocious and consistent, pleasing his trainer Gerald Ryan at every turn. 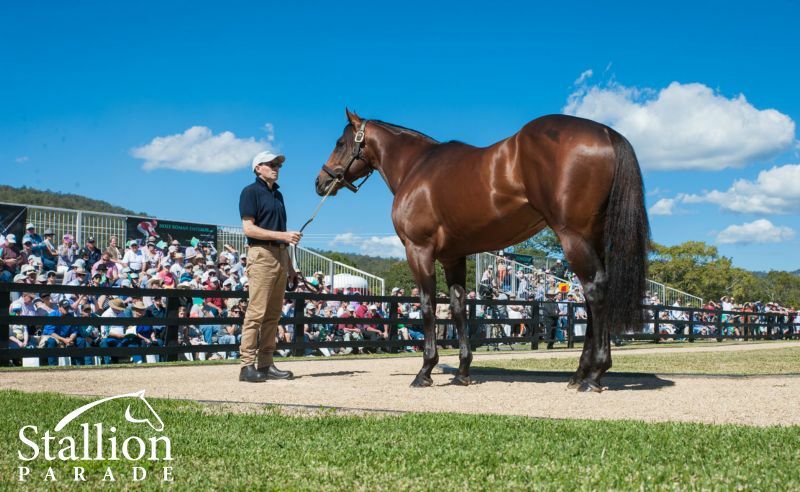 Bred by iconic Australian stallion producing farm Arrowfield Stud, Spill the Beans had the all-important natural ability to match his well-constructed stallion’s pedigree. 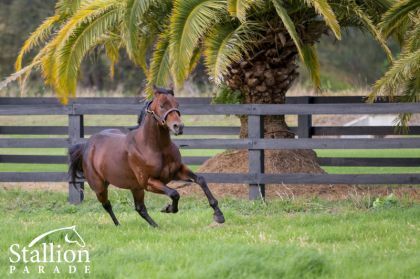 In Australia, champion sire Redoute’s Choice and his sons have forged the most dominant branch of the breed shaping Danehill sireline with Spill the Beans poised to write the next chapter of that success.